This medical malpractice claim was filed in Allegany County after a delayed cauda equina diagnosis caused a man to suffer permanent neurological complications. It was filed in Health Claims Arbitration on March 22, 2018, and it is the 137th medical malpractice case filed in Maryland this year. Another cauda equine syndrome lawsuit. This claim was filed on P.G. county in 2016. A man visited the emergency room at Potomac Valley Hospital with complaints of back pain. He was discharged the same day with prescriptions for pain medications. Two days later, the man went to the Western Maryland Hospital (WMH) emergency room, where he reported worsening pain, numbness, and tingling from the waist down. Even though a CT scan revealed a disc herniation at L4-L5 causing severe stenosis (narrowing) of the central spinal canal, the man was discharged after only a few hours. After another two days, the man returned to WMH via ambulance, complaining of increasing back pain radiating down through his legs and an inability to urinate. MRI results were concerning for cauda equina syndrome, which would explain his pain, numbness, and neurogenic bladder. The man was transferred to West Virginia Hospital where he underwent surgery for his disc herniation. Unfortunately, the surgery was performed too late to prevent the permanent neurological complications of a delayed cauda equina diagnosis. Postoperatively, the man developed right foot drop and his incontinence continued. Cauda equina syndrome (CES) occurs after a prolonged period of spinal nerve root compression. Although CES is a rare condition, it frequently leads to a malpractice lawsuit because severe cases of CES with significant complications usually arise from a delayed diagnosis. Food drop is the medical term for difficulty lifting the front of the foot, causing a gait abnormality. Foot drop could be caused by a variety of underlying muscular, anatomical, or neurological problems. The most common cause is a nerve root injury or compression, such as cauda equina syndrome. There was a $2.5 million cauda equina syndrome verdict in Anne Arundel County in 2015. Failing to refer the claimant to an appropriate physician. Failing to correctly interpret films. Failing to rule out a condition such as cauda equina syndrome. Failing to provide proper treatment to prevent the development and worsening of cauda equina syndrome. As a direct result of the defendants' negligence, the claimant developed cauda equina syndrome and complications thereof, including incontinence and foot drop. Damage to the marital relationship. View sample medical malpractice verdicts and settlements from Allegany County. 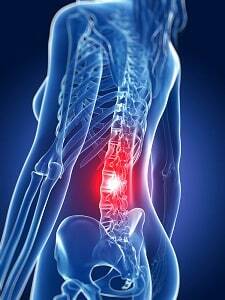 Read more about spinal injury lawsuits.